View of outside from the Beit Midrash. 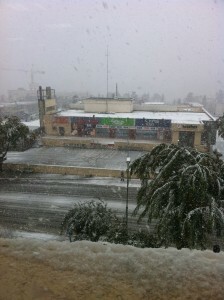 Yesterday, in Jerusalem, the snow that had been warned about finally arrived. It wasn’t that much snow. But for Israel, a place that isn’t prepared to deal with this kind of weather, the city really shuts down. Yet, something very amazing happened. So many Pardes students arrived at school. 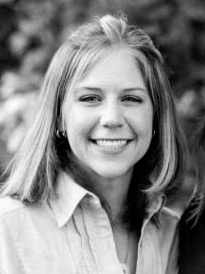 Many of them very early for mechetzah and egal minyans, and even after, more for classes. Teachers and secretaries showed up, too. Level dalet and hey had nearly 100% attendance. We all braved the cold, freezing, wet, snow, ice in order to come study. 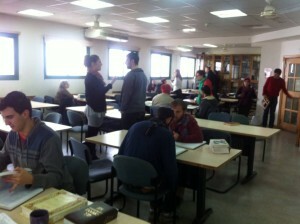 Even when school was officially canceled after news of Jerusalem schools also being canceled, many students stayed for hours to continuing studying in the Beit Midrash. View inside the Beit Midrash! Like Hillel, Maybe we are all a bit crazy. Maybe we just wanted to be where most of our friends were already. Maybe we couldn’t imagine leaving to go back out into the snow. But I think it’s something about Torah. We seem to be addicted. It fills us with something that we would all describe a little differently, but makes us feel good and helps us become better versions of ourselves. And b”h we have a place to study, unlike Hillel who wasn’t allowed in, Pardes opens it’s doors to everyone and offers Torah to anyone who seeks it. So thank you Pardes for being so warm, loving, and open. Because no one wants to be outside in this weather, not even Hillel!